Sri Lanka, known as Ceylon until 1972, is an island in the Indian Ocean that gained independence from Britain in 1948. It suffered over 25 years of civil war (1983-2009) between the mainly Buddhist Sinhalese majority and the mainly Hindu minority Tamils, which ended when the government crushed the Tamil Tiger separatists. The country has also experienced serious natural disasters such as the 2004 tsunami. Sri Lanka is officially a secular state, but Buddhism is recognised as the state religion – the Constitution states: “The Republic of Sri Lanka shall give to Buddhism the foremost place and accordingly it shall be the duty of the State to protect and foster the Buddha Sasana [teachings of the Buddha]” – and radical Buddhist movements are stirring up ethnic, political and religious tensions. Christians displaced by natural disasters are often afraid to seek shelter in relief camps due to fear of Buddhist hostility. The Constitution guarantees freedom for other religions, but in practice followers of minority religions face discrimination. Hindus comprise about 12% of the population, Muslims 9% and Christians 8%. Christianity, introduced by the Portuguese in the 16th century, is still considered a foreign religion and converts are seen as traitors and face threats and attacks. Muslims also face persecution. Traditional churches are generally tolerated, but since the 1980s the growth of evangelical Christianity has led to persecution including church burning and attacks on individuals. Many pastors have been beaten, threatened and arrested. A government circular introduced in 2008 requires places of worship to be registered, although there is no legal basis for registration. The directive is used not only on new buildings but on places where Christians have met for many years, and many “unregistered” churches have been closed. Buddhist monks are very influential in rural areas and sometimes incite large mobs to attack Christians and churches and also Muslim businesses and mosques. Police and local officials are often complicit. Bodu Bala Sena (BBS) or “Buddhist Power Force” is believed to be behind most attacks on minorities. A Sinhalese Buddhist nationalist organisation, it formed in Colombo in July 2012 when Buddhist monks broke away from the Jathika Hela Urumaya (National Heritage) party, saying it was not sufficiently militant in protecting Buddhism. Persecution of Christians has escalated since 2012, with the rise of militant Buddhist nationalist groups. 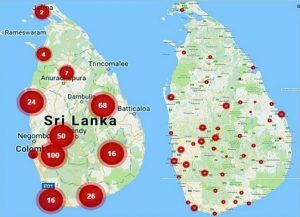 The National Christian Evangelical Alliance of Sri Lanka (NCEASL) mapped 320 cases of Christian persecution across Sri Lanka between January 2013 and June 2016, including mob attacks on churches, state-sanctioned church closures, personal attacks, arson, vandalism, intimidation and discrimination (notably in relation to Christian burials being prevented). Christians in Sri Lanka hoped to see a change for the better when President Maithripala Sirisena took office in January 2015, as he is more tolerant of minorities than his predecessor, but incidents of persecution have continued, and there has also been a surge in violent attacks on Muslims. 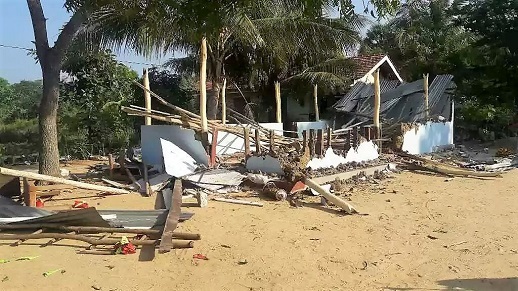 The image shows a church building destroyed by a Buddhist mob in January 2017. A religious liberties lawyer in Sri Lanka who spoke to Christian Today on condition of anonymity in 2016 claimed that under the new government Buddhist extremists had adopted a more strategic approach, in the form of legal restrictions, and she noted an increase in persecution carried out by local government officials. In 2018, NCEASL reported 86 incidents against Christians, compared with 93 incidents in 2017, 80 in 2016 and 90 in 2015. The highest number of incidents (20) constituted threats against Christians, followed by: 19 incidents of violence; 14 of intimidation; twelve each of discrimination and demands for closure of places of worship; three of false allegations; two each of police inaction and registration of cases against Christians; and one each of legal challenges and demonstrations. On 5 January a mob led by a Buddhist monk destroyed a church building in northwest Sri Lanka. On 12 January 2014, mobs led by Buddhist monks attacked two churches during Sunday morning worship services. Fresh attempts are being made to introduce an anti-conversion bill in Sri Lanka. The last bill was judged unconstitutional by the Supreme Court in December 2004 – just before the Asian tsunami devastated the coastal regions. The new bill is at the committee stage where Godfrey Yogarajah (pictured) has led submissions from the National Christian Evangelical Alliance of Sri Lanka (NCEASL) opposing the bill. 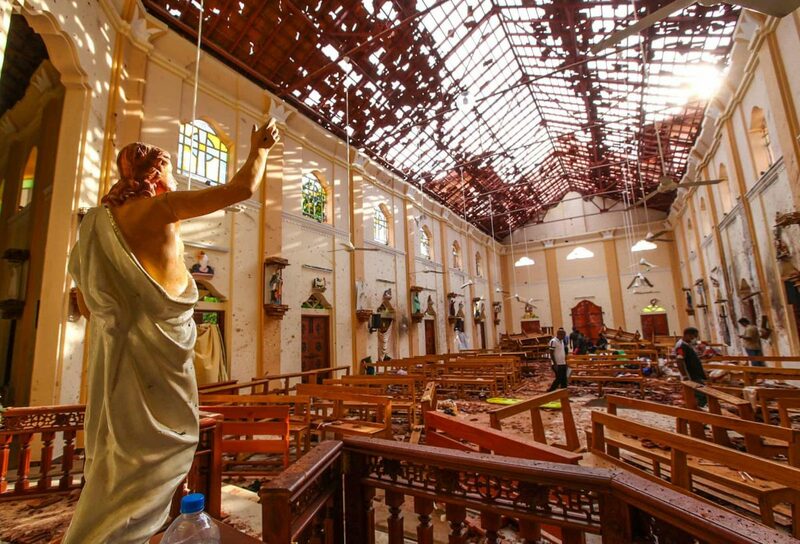 The religious situation in Sri Lanka continues to worsen and seems to be heading towards a serious confrontation between the Buddhist religious establishment, the Sri Lankan government, the NGOs and the Church. Buddhist monks, through their recently formed Jathika Hela Urumaya (JHU) party, are now contesting the 4 April elections. Monks are protesting and campaigning against “the NGO mafia” and targeting groups such as World Vision. Churches and Christian workers are being harassed and violently attacked on an almost daily basis. On February 15th, three churches came under attack in one night. ‚ÄúThe Pastor of the Apostolic Church in Boraluwewa was warned that his church would be attacked,‚Äù said the spokesman. ‚ÄúThe police were notified, but they failed to provide protection, or to investigate the threats. That night, a crowd of about 100 people with two vehicles completely demolished the church and the staff living quarters and all their personal belongings were set on fire. Five people were later arrested. ‚ÄùThe same mob also attacked Gethsemane Church in Boraluwewa, demolishing their worship centre.